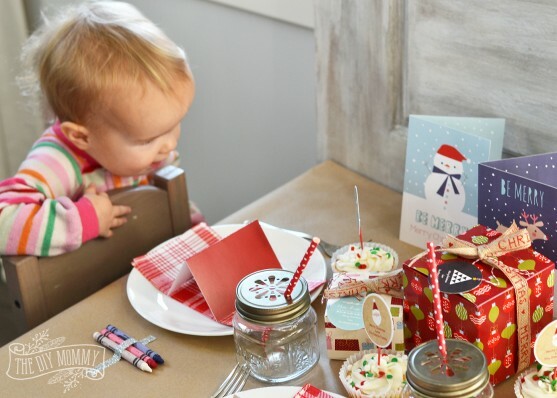 With some simple materials, some adorable products from Stuck On You, and not a lot of prep time, we made this sweet little kids’ table that’s all ready to enjoy for Christmas dinner. 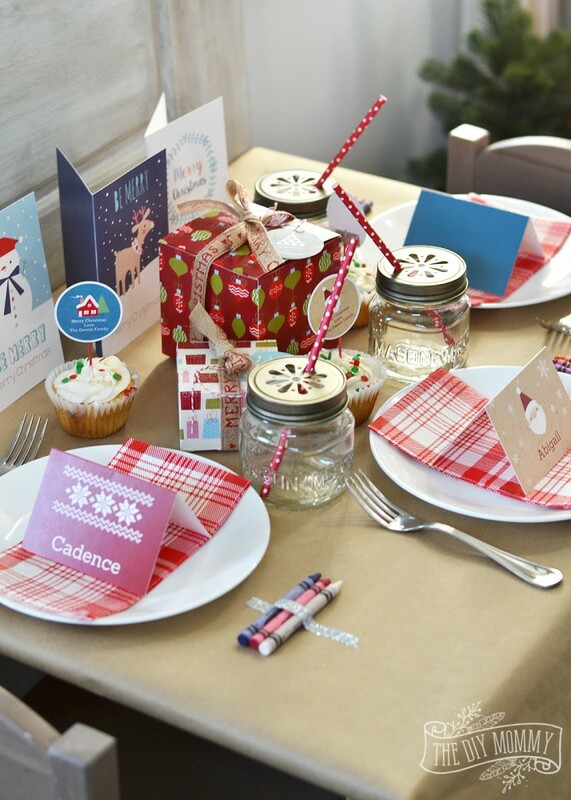 The theme I chose is a classic kraft paper and red colour scheme with lots of exciting little treasures! 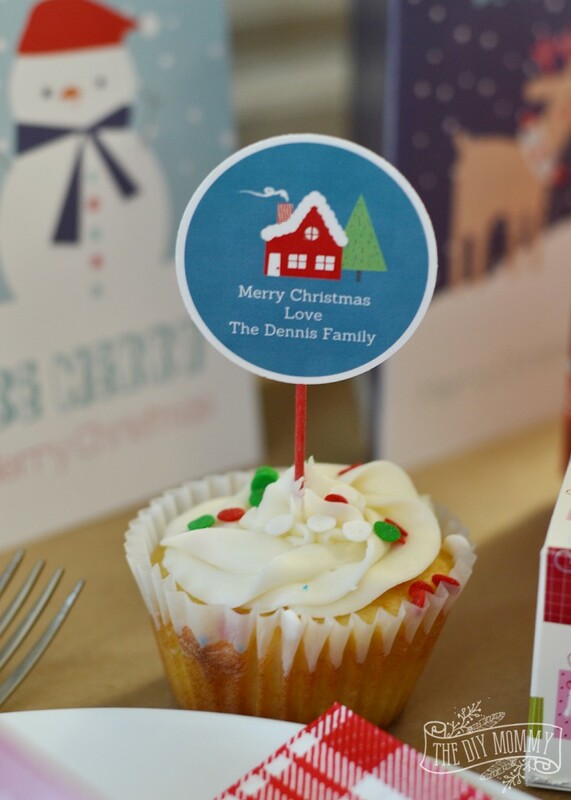 First off, I made some Christmas-y cupcakes with colourful sprinkles, and topped them with these sweet Stuck On You cupcake toppers. I used glittery silver washi tape to attach the toppers to some cupcakes for a sparkly surprise. I also wrapped some little gifts that serve both as a table centerpiece and a favour for after the party. 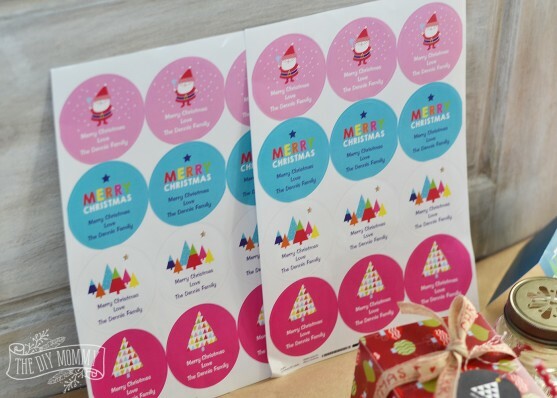 Aren’t these festive gift tags from Stuck On You that I tied onto the gifts so adorable? 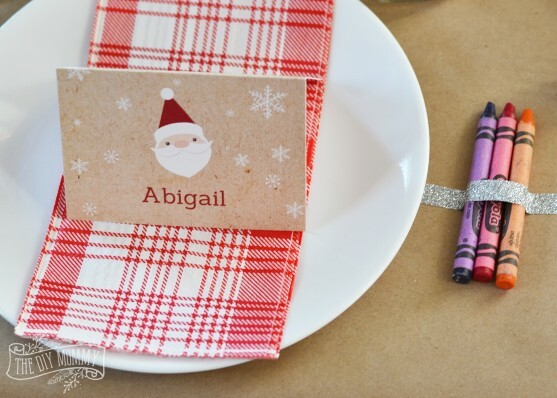 For the place settings, I layered these sweet place cards over some bright red plaid napkins and white plates. I also stuck a few crayons beside each place to the kraft paper tablecloth with some sparkly washi tape. 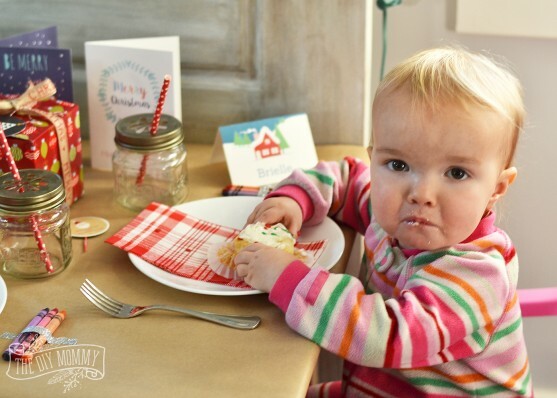 I love covering tables with kraft paper for kids – it’s so fun to colour! 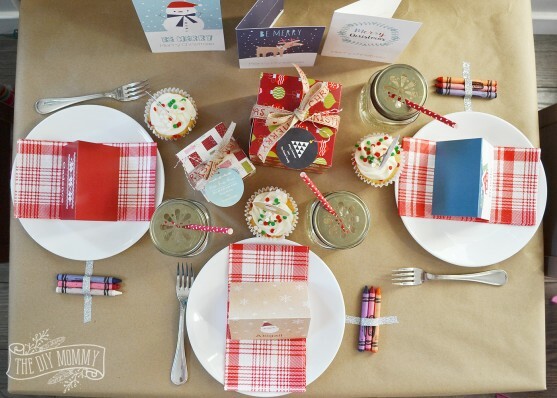 Some little mason jars with festive paper straws complete the look. 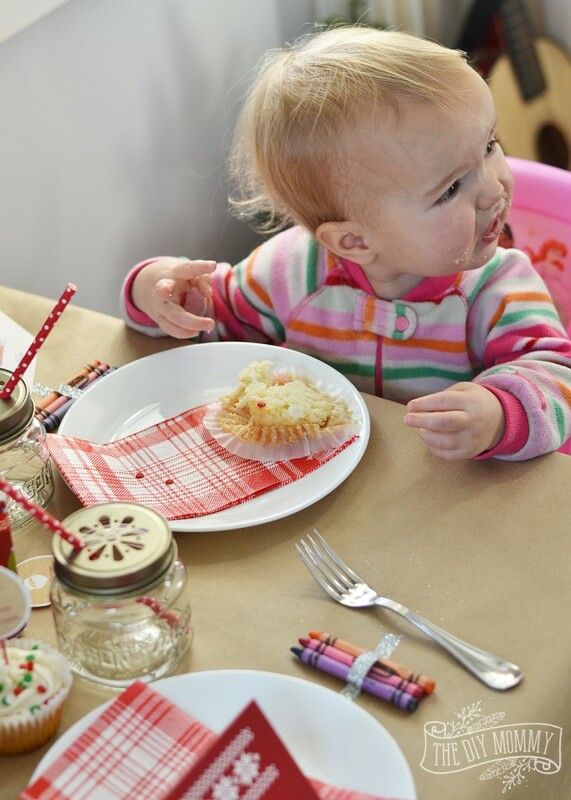 My girls LOVE paper straws, so they’re a fun and inexpensive way to make a holiday table feel special. That’s it! Aren’t those easy and fun? 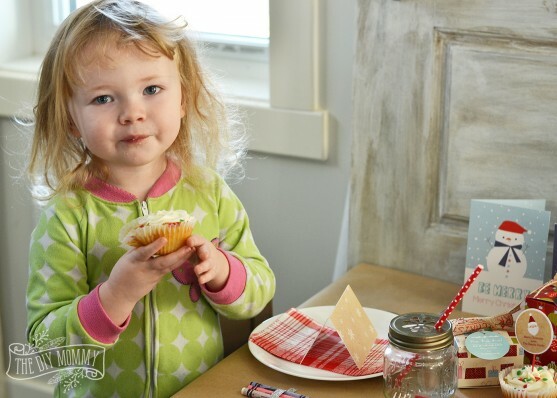 It doesn’t take too much extra time or money to make a sweet and special table for the kiddos this Christmas. 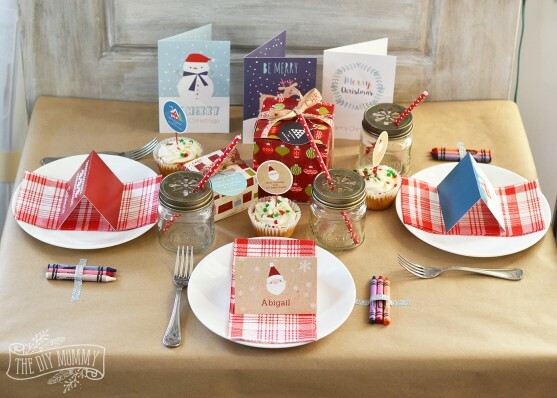 Thank you, Stuck On You, for inspiring us to make such a fun table for our Holidays! 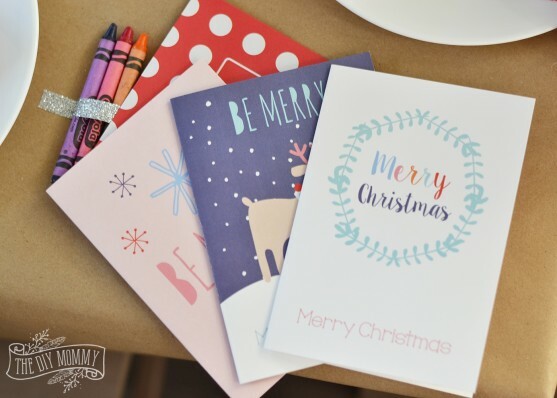 You can also find these beautiful Christmas cards at Stuck On You! 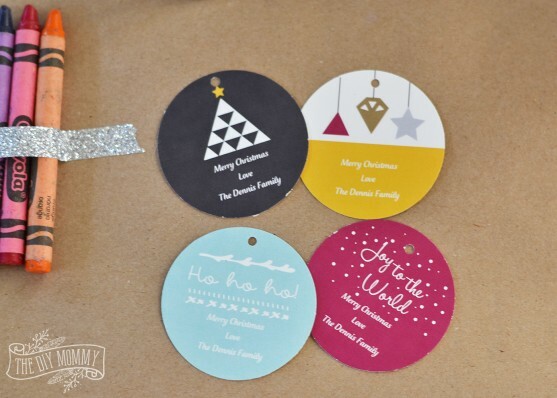 We can’t wait to personalize ours and send them off to our friends. 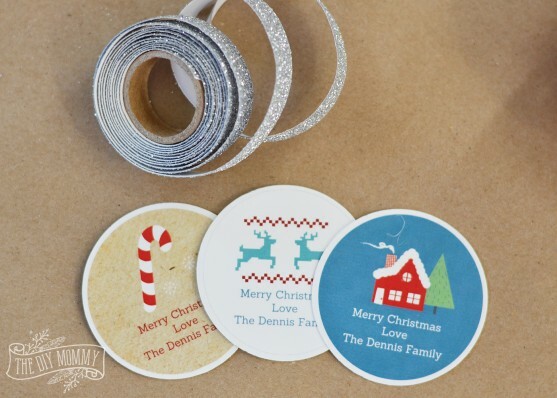 These sticker labels are also fantastic – they’d be great for labeling gifts or sweet treats for neighbors. Let the Christmas feasting begin…. kiddie style! 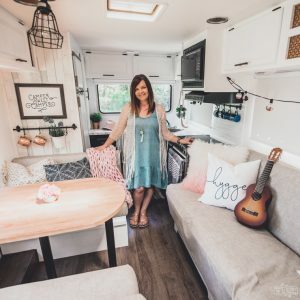 To learn more about Stuck On You or to grab your own adorable party accessories, please visit their Website, Facebook page, Twitter or Instagram. Now it’s time for YOU to have a chance to win your own party pack from Stuck On You! Stuck On You wants to send one of my readers all of the same products you see featured in this blog post. To enter to win them, please use the Rafflecopter widget below. 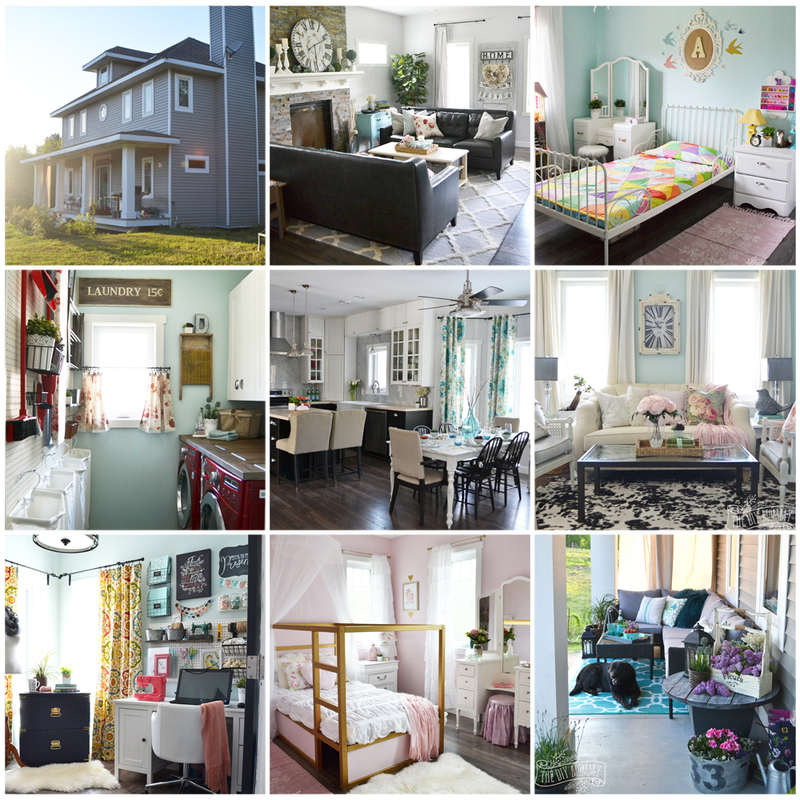 Contest ends December 8th at 11:59 PM MST and is open to residents of Canada and USA. Good luck! Disclaimer: This post is sponsored by Stuck On You. As always, all of the opinions here are my own. I only recommend products that I use and love myself. 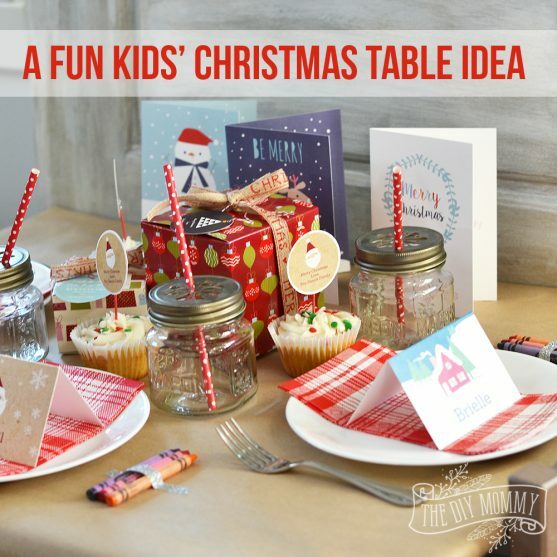 Hey Christina, your kids Christmas table looks like a Michelin star restaurant, that’s pretty amazing! I love the paper tablecloth idea and crayons are icing on the cake.